The bumGenius brand introduced cloth diapers easy enough for anyone to use... even family members or childcare providers who might be resistant to the idea of cloth diapering. 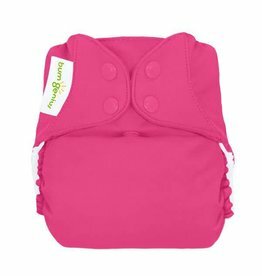 bumGenius was intentionally designed to make cloth diapering as easy as using a disposable! 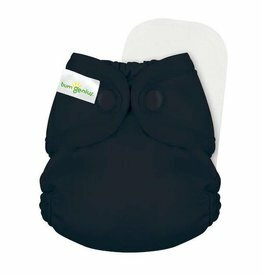 The bumGenius brand offers a variety of options; stay dry lining, organic cotton, single-piece diapering, fun prints from our Limited Edition Artist Series, as well as a variety of prints from our Genius Series. The Flip Diapering System provides parents with an affordable hybrid diapering system. Options include organic inserts, stay-dry inserts and a disposable insert. The Flip Diapering System is manufactured from the same high quality materials used in all our products but comes at a much lower price point than other hybrid products on the market. Bumgenius Elemental E3 One-Size AIO Diaper for babies 8 to 35 lbs. Made with 100% organic cotton. Available in a rainbow of colours! Bumgenius Elemental E3 One-Size AIO Diaper for babies 8 to 35 lbs in Prints. Made with 100% organic cotton. Available in prints! Bumgenius Freetime One-Size AIO Diaper for babies 8 to 35 lbs in retired colours. Made with stay-dry lining and semi-attached inserts. These colours are retired, and will soon be gone! Bumgenius Freetime One-Size AIO Diaper for babies 8 to 35 lbs. Made with stay-dry lining and semi-attached inserts. Available in a rainbow of colours! Bumgenius Freetime One-Size AIO Diaper for babies 8 to 35 lbs in prints. Made with stay-dry lining and semi-attached inserts. Available in many prints! Bumgenius Littles 2.0 Diaper for babies up to 12 lbs. Snap closure. Organic/Stay-dry reversible insert included. Available in a rainbow of colours! Bumgenius Littles 2.0 Diaper in Prints for babies up to 12 lbs. Snap closure. Organic/Stay-dry reversible insert included. Available in a variety of prints. Bumgenius microfiber diaper doublers are a great way to boost a diaper's absorbency. Available in 1pk, 3pk, and 6pk. Bumgenius one-size microfiber pocket diaper insert. This is the same insert that comes with the Original 5.0 Pocket Diaper. Available in 1pk, 3pk, and 6pk. 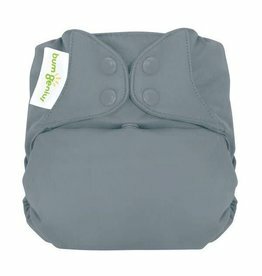 Bumgenius One-Size Stay Dry Liners help to keep baby's bottom dry by moving moisture to the core of the diaper or insert. Available in 1pk, 3pk, and 6pk. Flip One-Size Hybrid Diaper Cover for babies 8 to 35 lbs in Classic Colours. Insert not included. Available in a variety of colours. 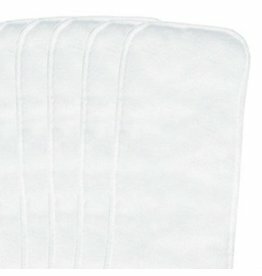 Flip Newborn Stay-Dry Diaper Inserts for use with the Flip Hybrid Diaper System. Includes 6 inserts. Flip Nighttime Organic Cotton Diaper Inserts made from 100% organic cotton for use with the Flip Hybrid Diaper System. Includes 2 inserts. Flip One-Size Hybrid Diaper Cover for babies 8 to 35 lbs. Insert not included. Available in a rainbow of colours!